Troutrageous! Fly Fishing & Tenkara Blog: The Return of "Fishertainment"
LOL - the only comment is mine. The "1" looked so lonely. So....here. There. Fixed it. Let me help you with that 2 comment problem. I am looking forward to the new blog. Thanks Ricky. I appreciate it! I'll be mixing up the fishertainment and the art stuff - and I'm going to try my best to stick to positive, fun content. And stupid videos. 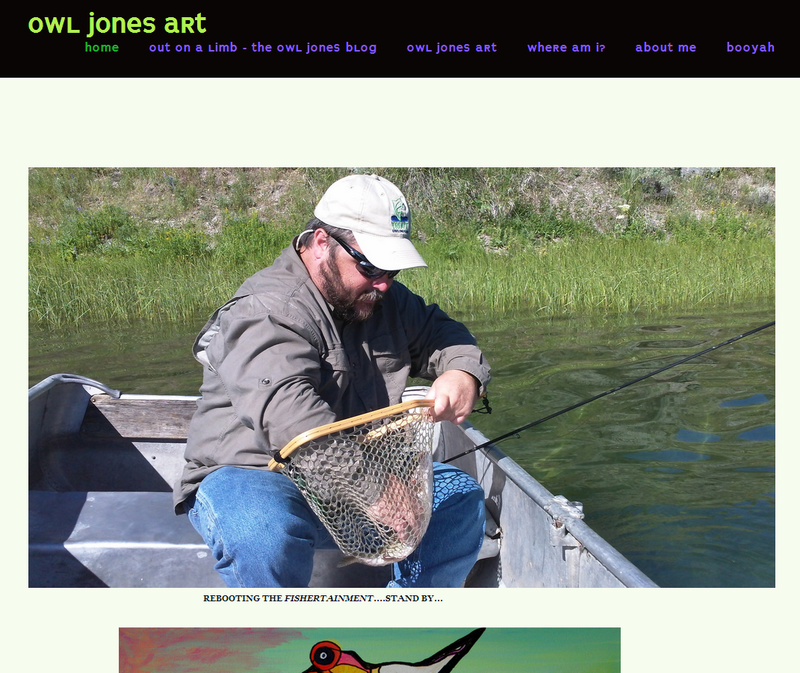 FYI to the late comers and train wreck watchers: www.thisoldfish.blogspot.com is now the FISHING blog.